Some aspects of Parkinson’s cannot be seen, so the emotional side of art can better communicate these symptoms. A new monthly art series – which draws on the experiences of people with Parkinson’s and their carers – launched last month as part of the Framing OFF Through Art initiative. Framing OFF Through Art is a monthly art series inspired by the stories of people with Parkinson’s and their carers. Each piece of art is made by artists with a personal connection to Parkinson’s, who partner up with people living with the condition to create art that symbolises one of their symptoms. The pieces focus on Parkinson’s ‘off’ episodes, which are the periods between treatment when symptoms re-emerge. For the initiative, Julie partnered with Steve Peters, who was diagnosed with Parkinson’s in 2012, and his wife and care partner, Leslie. 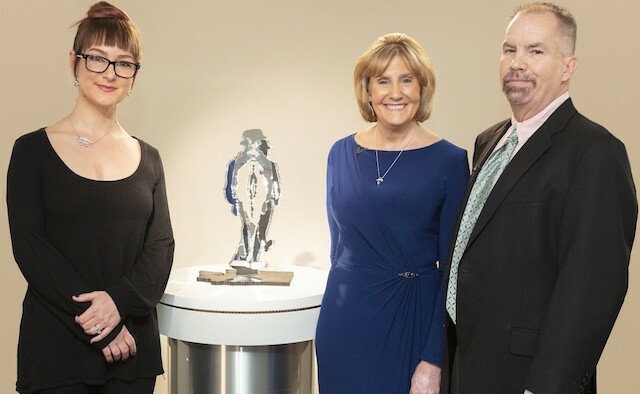 They created ‘Reflections’ – a sculpture inspired by Steve’s journey with his condition. Julie believes art can help people deal with their condition, especially at a time when it is difficult to verbally communicate. Taking part in the initiative has also provided Julie with a newfound understanding of her mother’s Parkinson’s experience. “My mother kept things very private,” she said, “and after my experience with Framing OFF Through Art, I realised how lonely it can be. It is important to talk about how you are feeling with your family and care team. To find out more about the Framing OFF Through Art initiative, created by US biotech company Acorda Therapeutics, click here. 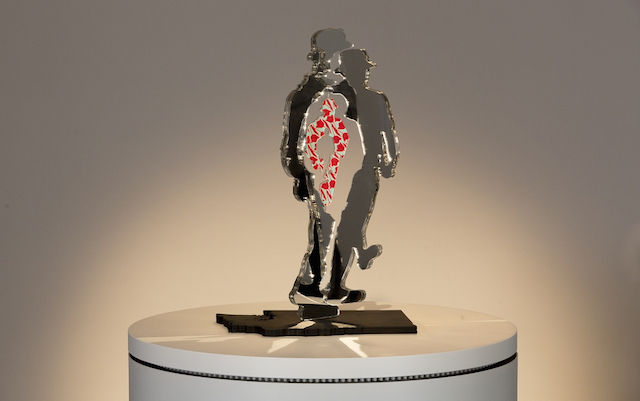 The sculpture, titled ‘Reflections’, was inspired by Steve’s Parkinson’s journey.